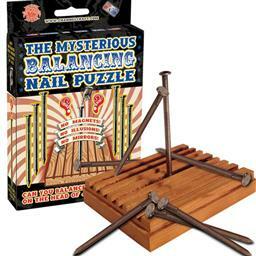 Cabin Fever Games - Balancing Nail Puzzle. This old carpenterâ€™s trick will stump even the best puzzler. Can you balance all 6 nails on the head of just one?